Our great city, New York was the first city in the U.S. to host the worlds largest dinner party. Since then it has been a mad rush for Le Dîner en Blanc enthusiasts to sign up year after year. September 17, 2018, the wildly popular event will make its return to the Big Apple for the 8th consecutive year. Over 6500 guests dressed head-to-toe in chic white will gather at an iconic undisclosed location to dine and dance under the stars. 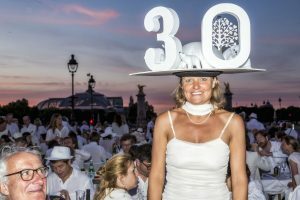 Can you believe that this year marked the 30th anniversary of the world renown Le Dîner en Blanc? Mais bien sûr, it was befitting to hold its 30th right where the magnificent dinner party made its debut, Paris France. A record-breaking 17,000 guests from France and around the world gathered at the Esplanade des Invalides to celebrate this historic moment. The legendary all-white French-inspired pop-up dinner party has become the must-attend culinary event of the year in the U.S. and cities around the world. A worldwide phenomenon, this year over 130,000 people in 80 cities spanning 30 countries will attend. To preserve spontaneity and secrecy, the elegant dinner takes over iconic public spaces whose locations are revealed at the last minute to the delight of thousands of guests. We are thrilled to share with you Downtown’s renowned chef and Michelin Star recipient restaurateur, Marc Forgione will be curating four special picnic baskets for guests in New York who order through Le Dîner en Blanc. 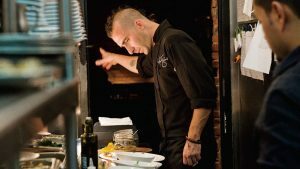 Forgione was featured in Downtown Magazine in 2013, riding a wave of success since opening his eponymous restaurant Marc Forgione in 2008 along with multiple locations of his modern steakhouse, American Cut. You can find this delicious eatery right here in Tribeca, Downtown New York. Chef Forgione won season 3 of Food Network’s “The Next Iron Chef” at just 31 years old, making him the youngest winner in the show’s history and is currently one of the Iron Chefs on Food Network’s “Iron Chef America.” His father Larry Forgione is a culinary legend who revolutionized American-style cooking in the ’70s and ’80s. This must-attend dinner party is by invitation only, traditionally issued by friends and friends of friends who have participated in the past. 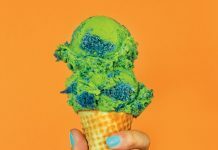 Another means of attending is via the often-extensive wait lists in each city. The event has proven to be such a beloved tradition that across the country the number of cities has increased to 32 with five premieres in 2018 alone: Charlotte, Decatur, Fort Lauderdale, Indianapolis, Memphis, and Wilmington. 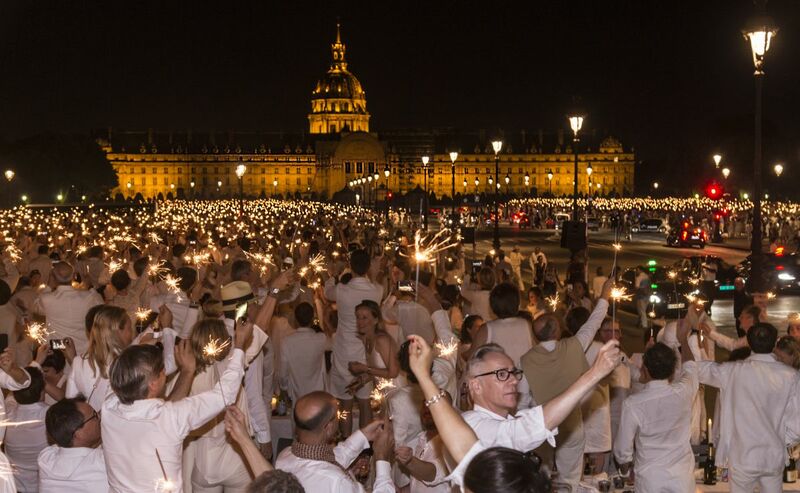 While new cities join the adventure every year, in some cities like Philadelphia and Washington, D.C., Le Dîner en Blanc has become the social gathering of the year, move over Met Gala! Internationally four cities have joined this extraordinary dinner party this year, Toowoomba (Australia), South Georgian Bay and Trois-Rivières (Canada) Madrid (Spain), as well as five new countries: Santiago (Chile), Cartagena (Colombia), Havana (Cuba), Taipei (Taiwan) and Dar Es Salaam (Tanzania). Be sure to keep an eye on your favorite city, over the next few years as this dinner party continues to expand! 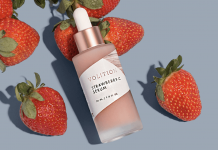 Looking for an excuse to be outlandishly dressed from head to toe in white? Guests dine on their own specially curated meals such as lobster, charcuterie, cheese platters, baguettes and desserts, many dishes as opulent as their attire. Dîner en Blanc offers guests the ultimate opportunity to express their unique fashion and design style. Originality is encouraged; the creative outfits, fantastical hats, and decorative table settings are always a fabulous spectacle. 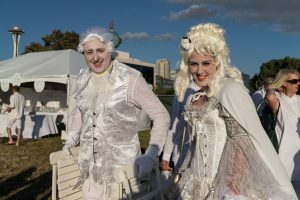 It’s an Instagram lover’s dream — some participants dress as Marie Antoinette with lavishly detailed gowns and wigs. Other ensembles include gowns embellished with string lights, fairy wings, silk tuxedos, dapper sailor suits, powdered wigs, enormous picture hats, and headpieces. The elaborate white table centerpieces range from a miniature carousel centerpiece with each horse carrying a white or silver cupcake to birds in white cages and paper lanterns affixed with LED lights and candelabras. To get a sense of the incredible visuals and how the evening unfolds, here is the 2017 official video of Le Dîner en Blanc – New York. 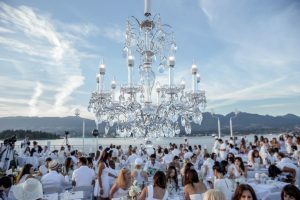 Linda Davis and Kaitlin Davis of The Davis Group return this summer as the host for Le Dîner en Blanc – New York, along with co-hosts Christine Tripoli of Looking Glass Events Group and Peter Kohlmann of PEKO Productions. Davis, who serves as host in four U.S. cities, says the Big Apple holds a special place in her heart. 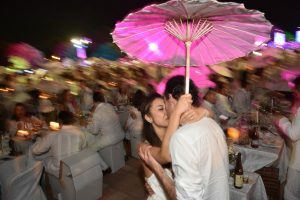 She explains, “Le Dîner en Blanc first debuted in New York before expanding to other U.S. cities and guests here have developed an extraordinarily passionate bond with the event. They bring a glamour and elegance—along with preparing amazing repasts—that make this an incomparable night in New York. I am thrilled to be a part of such a magical evening again. Le Dîner en Blanc – New York gratefully acknowledges our 2018 Le Dîner en Blanc U.S. national partners. Luxury Retreats a full-service villa rental company dedicated to creating authentic travel experiences. Our complimentary guest support includes a team of villa specialists dedicated to finding our guests the perfect home to stay in, and a 24/7 personal concierge service to assist with details big and small. For more information on Luxury Retreats, visit luxuryretreats.com. Sofitel Hotels & Resorts is an ambassador of modern French style, culture, and art-de-vivre around the world. Established in 1964, Sofitel is the first international luxury hotel brand to originate from France with over 120 chic and remarkable hotels in the world’s most sought-after destinations. Sofitel exudes a refined and understated sense of modern luxury, always blending a touch of French decadence with the very best of the locale. The Sofitel collection includes such notable hotels as Sofitel Paris Le Faubourg, Sofitel London St James, Sofitel Munich Bayerpost, Sofitel Rio de Janeiro Ipanema, Sofitel Washington DC Lafayette Square, Sofitel Sydney Darling Harbour, and Sofitel Bali Nusa Dua Beach Resort. Sofitel is part of AccorHotels, a world-leading travel and lifestyle group which invites travelers to feel welcome at more than 4,300 hotels, resorts, and residences, along with some 10,000 of the finest private homes around the globe. More at sofitel.com. The Knot is the nation’s leading multiplatform wedding resource offering a seamless, all-in-one planning experience—from finding inspiration and local wedding pros to creating and managing all guest experiences, wedding registries and more. The trusted brand reaches a majority of engaged couples in the US through the #1 wedding planning website TheKnot.com and #1 iOS and Android mobile app. The Knot Wedding Planner, The Knot national and local wedding magazines, and The Knot book series. We have our whites being prepared, as should, you if you are lucky enough to secure a ticket!